I cannot believe Thanksgiving is next week! It’s crazy to think that November is more than halfway over, and soon it will be Christmas! Seriously where did 2015 go? Last week I mentioned how I don’t usually decorate for Thanksgiving, but this year I just couldn’t help myself. 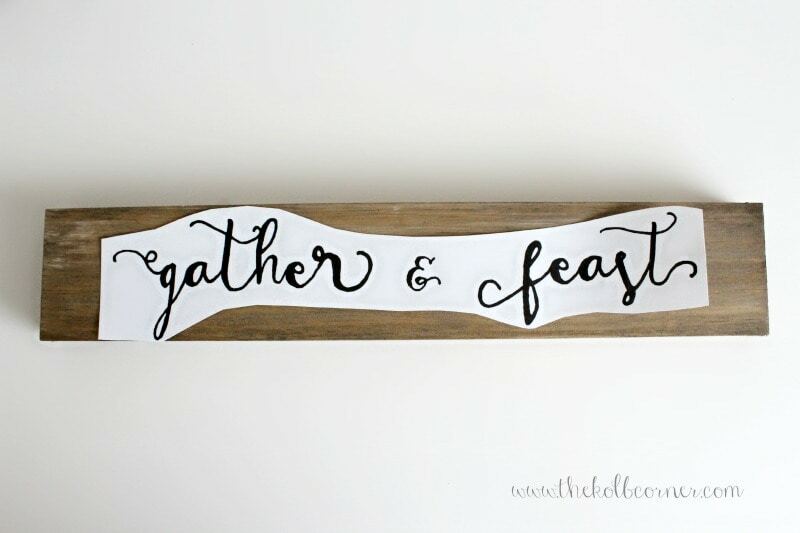 This adorable Painted Gather and Feast sign was so easy to make that the hardest thing for me to do was choose which font to use. First world problems folks. The piece of wood I used was from my scrap wood pile, and is a piece I was testing out stain combinations on. I used a gray stain, followed with a dry brushing of white chalky paint, then went over it with a walnut stain. I’m pretty happy with how it turned out! Start with cutting the wood to desired size. Mine is 14″ long. 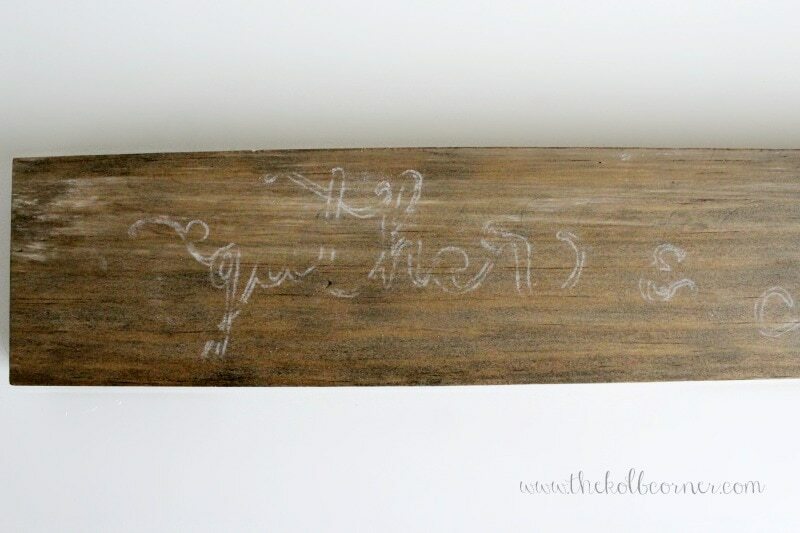 Stain the wood in color of your choice. 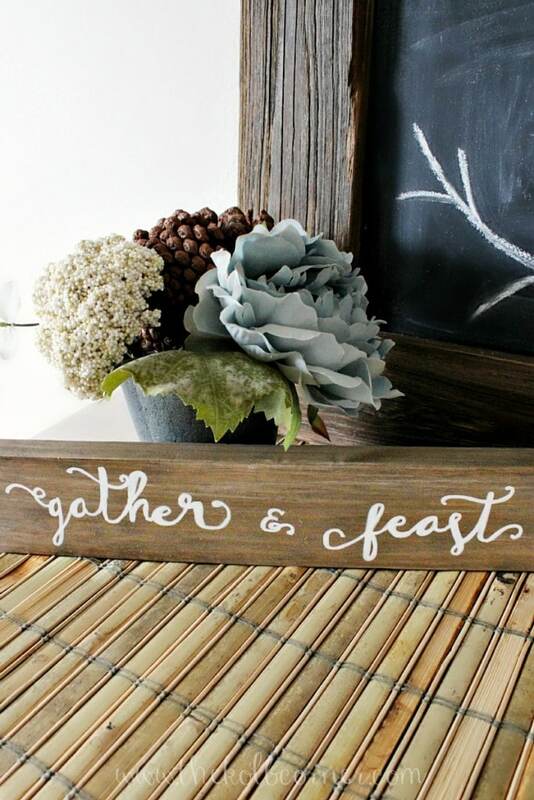 Print out “gather & feast” in font of choice and cut it out to fit the wood. Shade over the back of the paper in chalk. Flip the paper over and using a pencil, trace over the outline of the words, leaving a chalk outline when you are finished. Using a white paint pen, go over chalk outlines and fill in when finished. 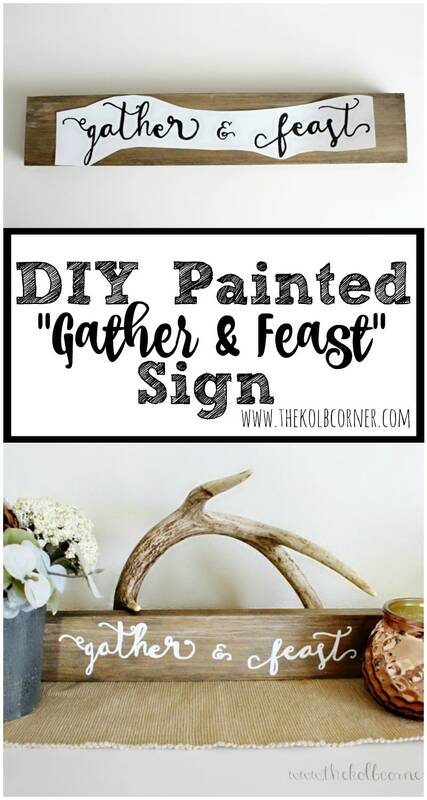 If you are planning to hang the sign when you are finished, apply hanging hardware like a sawtooth hanger. 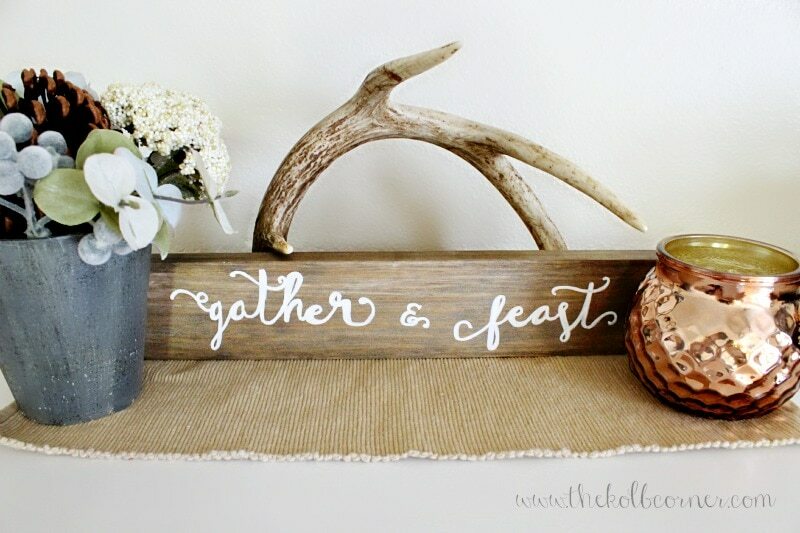 Need some other fall decor ideas? Simply A D O R A B L E ! Love it! Love the saying you picked out for you sign. Cute font. Thank you Audra! I am in love with that font. What a gorgeous sign! It’s perfect for the holidays. I love this project! 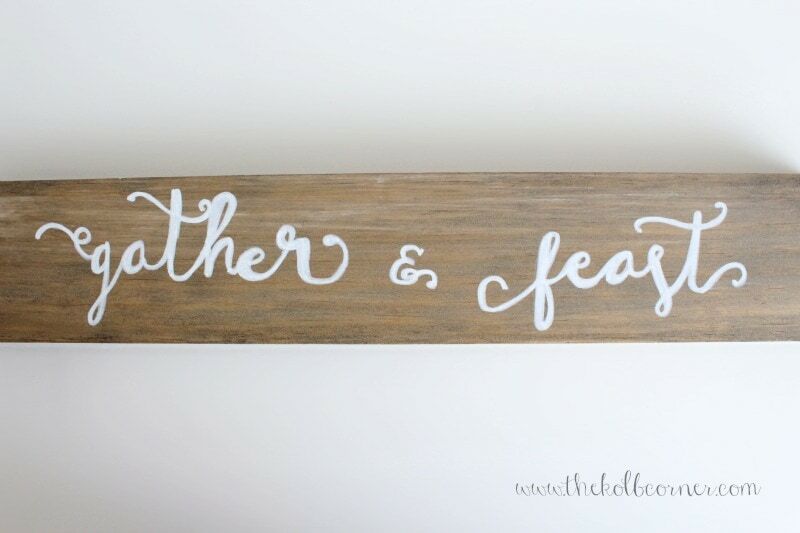 I wanted to let you know that I featured you this week at our Best of the Weekend Link Party! Enjoy your weekend!